Herbs Cardio Pro (Formula Upgraded with Notoginseng) combines Nattokinase, Red Yeast Rice and Panax Notoginseng Extract which can improve the flexibility of blood vessel. 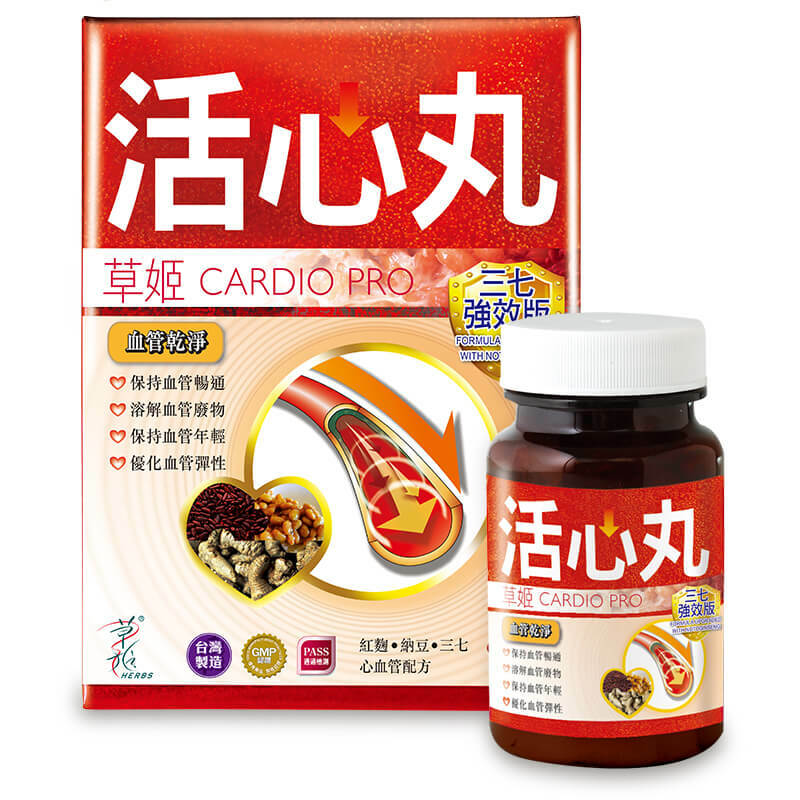 Herbs Cardio Pro (Formula Upgraded with Notoginseng) can help to maintain cardiovascular health and promote blood circulation. Q: Why should we take Cardio Pro after meal? 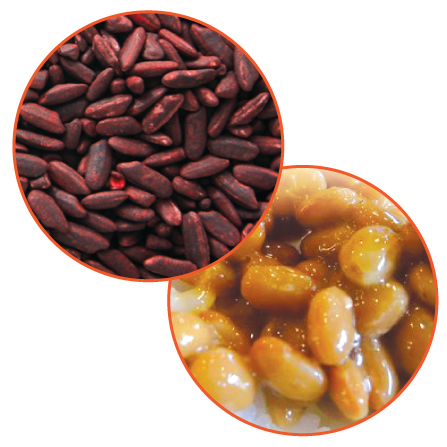 A: The House report shows that full stomach or after meals Cardio Pro aids in the absorption of red yeast rice, and immediately take effect in the liver. Q: Those who take inappropriate Cardio Pro? 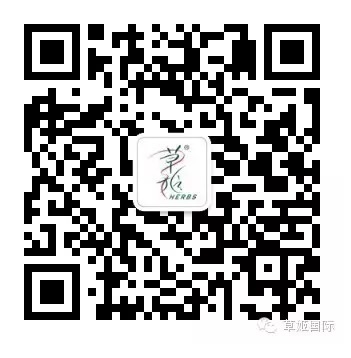 A: Pregnant women should not take children, because seven powder promoting blood circulation to pregnant women may cause miscarriage; generally it would be inappropriate for children under 16 years old for human consumption, promote the growth of notoginseng powder, notoginseng powder premature use affect the normal development of the child; physical warm, may occur after wang people take to get angry, dry stool, side effects such as dry mouth, menstruation is not adjusted, in particular the amount of menstruation and more people should be used with caution. Q: There are no western drug ingredients in Cardio Pro? A: Absolutely not! This item is 100% no drug ingredients. 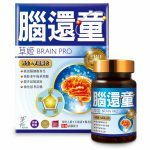 Q: Herbs Cardio Pro is suitable for long-term use? 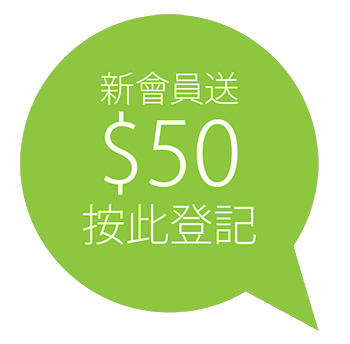 Q: Can people taking cardiovascular problems Herbs Cardio Pro? 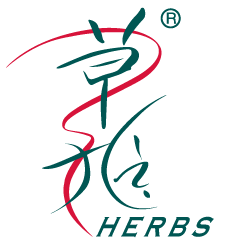 A: Herbs Pill Cardio Pro for cardiovascular health problems, such as the person concerned has been taken related drugs, such as blood thinners balls, we recommend that you first consultative professional advice before deciding the right amount of regulation therapy dosage pharmaceutical and health products, in order to achieve the best results. 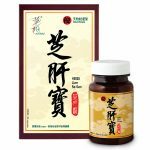 This product is not based on “the Pharmacy and Poisons Ordinance” or “Traditional Chinese Medicine Ordinance,” registered. This product does not make any claims for such registration has been subject to evaluation. This product is not intended to diagnose, treat or prevent any disease.